Canada's #1 FoodService salsa. Pace Chunky Salsa provides consistent fresh flavour and appearance with no artificial additives, preservatives or thickeners. With no prep needed - just shake, open and pour. All-purpose sauce - use as a dip, topping, condiment, or recipe ingredient. 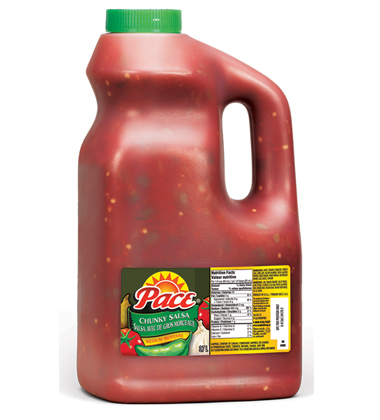 Pace Salsa is great to use during any day part.